On my last trip to New Zealand, I went on my own mini road trip from Christchurch to Kaikoura and back (and then did another one-day roadie with a friend to Mount Cook from Wanaka). Driving in New Zealand is always an adventure — and not just because they drive on the wrong side of the road on the wrong side of the car. This is a road that two-way traffic drives on. 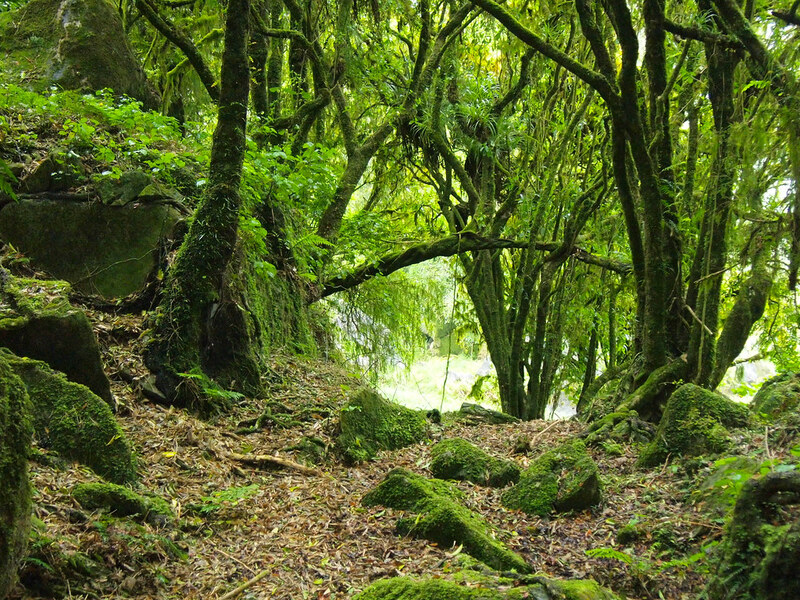 Driving in New Zealand is like driving through some magical fantasy land (it really kind of IS Middle-Earth). There are so many amazing landscapes — and they can change drastically even when you're just driving for a couple of hours. That being said, there are some things you need to know if you plan on renting a car and driving in New Zealand. In New Zealand, renting campervans is just as popular — if not more so — than renting cars. Even though they are larger and often a bit unwieldy on New Zealand's narrow roads, they can save you some money while traveling around NZ since they act as your transport AND your accommodation. In New Zealand you can “freedom camp” in many places if you have a completely self-contained van (i.e. one with a toilet) — meaning you can spend far less on accommodation and sleep in some incredible places. Even though freedom camping is legal in many places in New Zealand, it's not legal everywhere. Be aware of where you can and can't freedom camp — when in doubt, ask a local. Also, if you don't have a self-contained van, please DON'T freedom camp. Nobody needs your waste dumped all over New Zealand. This, for example, is private land – no freedom camping here! If you're renting a car, camper, or anything else on wheels, shop around for deals — and also take into account where you're picking up/dropping off the vehicle. Renting from an airport location is almost always going to cost more than renting from an in-city location. If you're looking for a good deal on a car in New Zealand, I can recommend Jucy. They have decent vehicles and really reasonable prices. 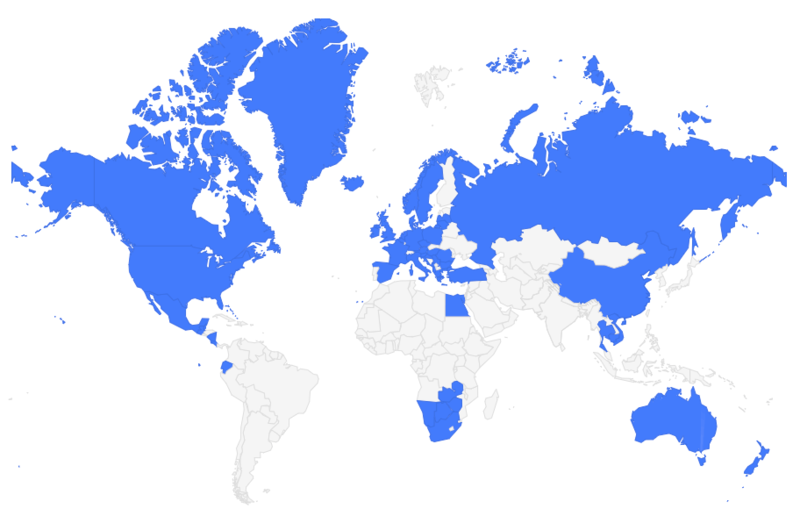 (And no, they aren't paying me to say that — I've rented cars a few times from Jucy in NZ!) Other budget options include Thrifty, Budget, and Europcar. As for campervans, I had a good experience renting a smaller van from Spaceships. If you're up for a bit of a challenge and/or don't really need a car for your entire trip (which, you may not — New Zealand has a good number of trains and buses to choose from), look into doing a rental car/camper relocation. Rental car companies constantly need cars and vans driven from one drop-off location to another, and if you are willing to help them out, they basically give you the rental for free. 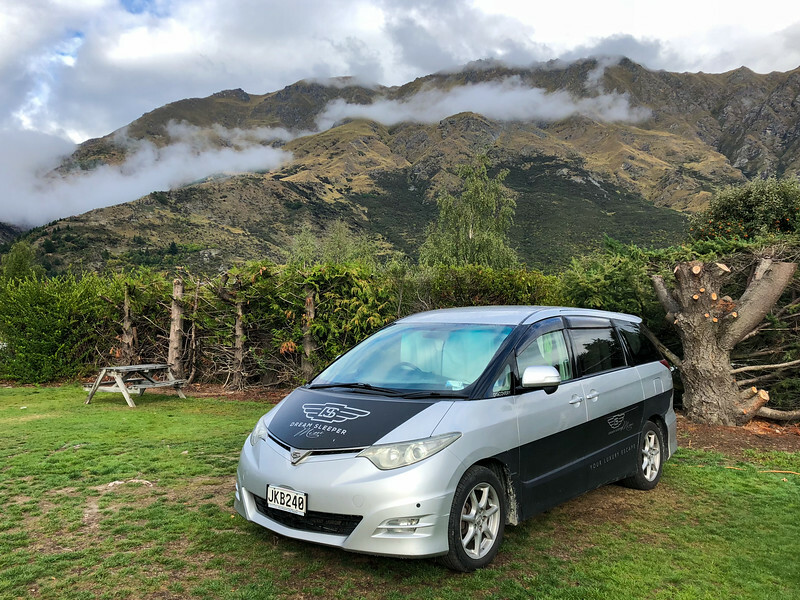 This isn’t the best option if you want a nice leisurely road trip (Christchurch to Auckland transfers, for example, usually have to be completed within 4 or 5 days), but it IS a really cheap way to get from one place to another while still getting to see the scenery along the way. Good sites to check out include Jucy Rentals’ relocation page, Transfercar, and Thrifty’s relocation page. New Zealand's mountain passes are NO JOKE. Snow, ice, and landslides are always a risk. If you're going to be driving any of them in the fall, winter, or early spring, be aware of what kind of car you'll need. A little tiny economy car won't cut it on many mountain roads in bad weather — some even require snow chains. So be sure to at least have an idea of the routes you'll be taking so you can rent accordingly. Since New Zealand sits literally at the end of the world and has to import a bunch of stuff from really far away, gasoline is incredibly expensive. It was sitting at more than $2 per liter when I was there last — that's pushing $8 per gallon!! If you can travel with friends (or make friends on the road) to split costs with, your wallet will thank you. I get it: driving in a foreign country on unfamiliar roads — roads that are often really narrow and twisty — can be a bit nerve-racking. It's perfectly okay if you need to take it slow (and, in fact you should slow down, as New Zealand is really cracking down on speed limits these days!). But, if you notice cars lined up behind you, be courteous and pull over to let them pass when you can. Believe it or not, you are breaking the law if you have 4 or more cars lined up behind you and fail to pull over. This is especially an issue for people driving campervans through the mountains, so pay attention. 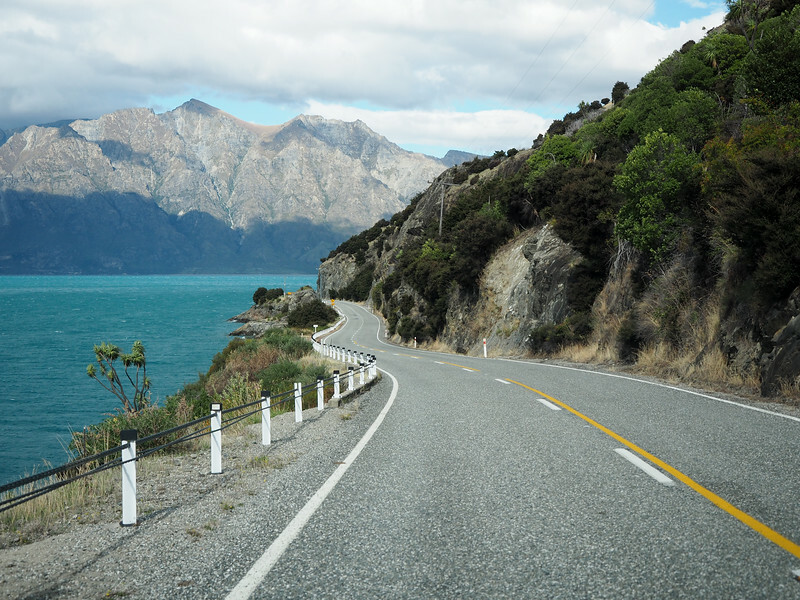 Most New Zealand roads come with built-in pull-off points — use them! Yes, New Zealand is incredibly gorgeous. And yes, you ARE going to want to pull over roughly every five minutes. But DON'T DO THIS. If there's no designated pull-off, driveway, or large shoulder for you to stop on, just keep driving. Accidents happen all the time in New Zealand because of people driving stupidly — and this includes pulling over on really dangerous stretches of road to take photos. I kid you not, I saw this happen with my own eyes. 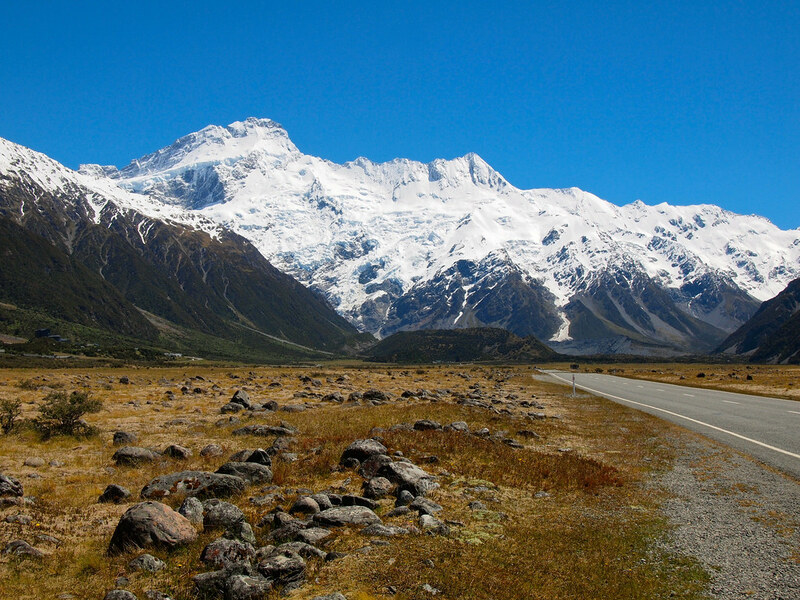 My friend Liz and I were driving on a very straight stretch of road leading up to Mount Cook. We REALLY wanted to stop to take photos, but waited until we saw a gravelly pull-off area. As we were taking turns watching the road and taking photos, a car zipped past us and pulled over about 100 meters up the road. Except there was no pull-off up there — they pulled over basically still partially ON the road, to where the passenger was opening her door INTO the road. Yes, the road is straight and you can see oncoming traffic. But this is still ridiculously dangerous and you SHOULD NOT DO IT. Ever. See the door opening basically INTO to road? NOT COOL! The beauty of having a car in New Zealand is that you are free to explore wherever the road may lead (and then explore even further using your feet). New Zealand isn't nearly as touristy as some other destinations, but there IS definitely a “tourist trail.” This usually includes places like Auckland, Rotorua, Wellington, Christchurch, and Queenstown. And you might think that a country as small as New Zealand wouldn't have much more to see. But oh how wrong you would be! New Zealand is FULL of incredible corners, from the beautiful beaches of the Bay of Islands to the bird sanctuary on Kapiti Island to the coastal town of Kaikoura to the wildness of the West Coast to cool and funky Wanaka. 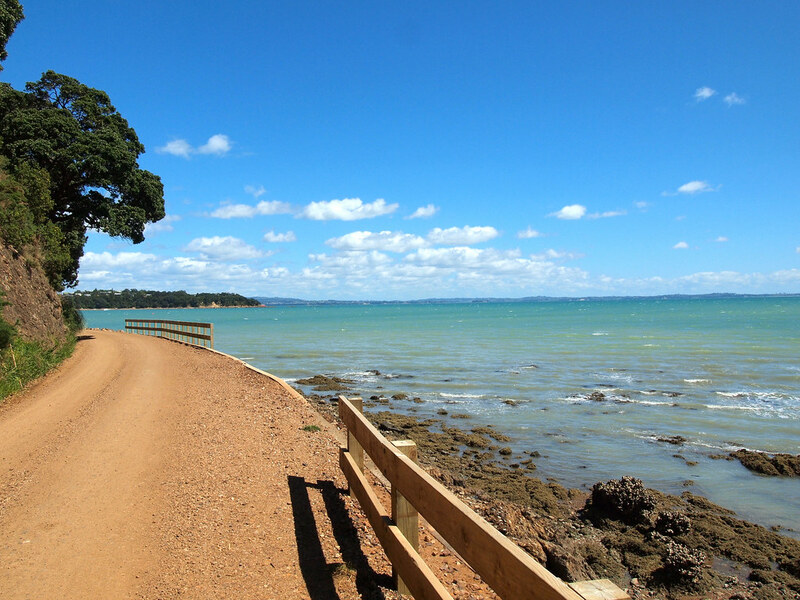 If you're creating an itinerary for your New Zealand road trip, make sure it's a loose one. You'll definitely want to allow time to deviate from the planned path here. As you're cruising through New Zealand, you are bound to spot some hitchhikers along the way. Hitching is actually a really popular way for backpackers to travel around New Zealand — mostly because the country is really safe and the locals are friendly. If you're comfortable with it, feel free to pick up hitchhikers! They are usually interesting people — AND you can ask them to help pay for some of that expensive gas. When it comes to travel, you just never know what could happen. For this reason, I never leave home without a good travel insurance policy! That way everything from lost luggage to a bad accident is covered – because you just never know! I recommend World Nomads for basic (and really affordable) travel insurance. And, lastly, DON'T forget to drive on the left! Have you road tripped in New Zealand? What other tips would you add? I have a fond place in my heart for the roads between Invercargill and Te Anau, where I taught myself to drive on the lefthand side of the road, and to obey their *one* counter-intuitive rule of the road. I won’t even mention it as NZ changed the rules to align with the rest of the world a few years ago. So now driving in NZ (and Australia, except Melbourne) is exactly a mirror image of driving in North America and Europe. The people who randomly pull off the road and open their doors into traffic drive me crazy and always get a horn blown at them. I succeeded in causing someone to jump and whack their head once, which was greatly satisfying. I bet they didn’t figure it out, though. The biggest unexpected danger I’ve encountered has been when I’ve come around a curve or corner and encountered a flock of sheep. There have been cattle, too, but the flock of sheep caused me to stand the car on its nose, and no doubt there was a bit of digestive distress amongst the sheep closest to me for a while, too. The biggest recommendation I have for driving in NZ and Australia is to slow down. Not so much because of the traffic laws, but because it’s a glorious place and worthy of slow driving and paying attention. Also, some of the “off brand” car rental companies rent old, beat up cars. One of which almost killed me driving Dyers Pass Road into Christchurch when it stalled on a curve and the power steering failed. Rent from the more reputable places that have newer cars. Also, avoid Dyer’s Pass Road if you can. The flocks of sheep (especially on the South Island) are definitely a hazard! Yet another reason to go slow – nothing wrong with letting people pass you. Awesome tips. I’m planning a trip to New Zealand next year with my childhood friend and we are going to roadtrip. This is very helpful info. I especially like that rental car companies offer people to drop off their cars. Now that’s a way to save a buck! The relocations are great! Especially if your schedule is a bit flexible – most of the relocations can only be booked about a week or so in advance. But definitely keep that in mind! This is a great post – thanks for sharing! All too often, tourists come to NZ that have little to no driving experience, especially on windy, narrow, countryside roads in adverse weather conditions and end up killing themselves or others. Unfortunately this statistic is on the rise but posts like this will hopefully make people aware of the driving conditions in New Zealand! Lovely post BUT please, please, please do NOT pick up hitchhikers, even in relatively safe NZ. You can never be certain of your safety, and this is definitely not recommended – nor is hitch hiking itself. We have a (albeit seldom) few cases of violence and murder both towards and by hitchhikers. I wouldn’t recommend picking up hitchhikers if you’re traveling solo, but if you’re road tripping with one or two other people, I think it’s pretty safe to do in NZ. I personally wouldn’t hitch anywhere in the world (especially not on my own), but I wouldn’t be opposed to picking someone up if I wasn’t driving solo! Life is not all about being afraid. Contrast the number of cases of violence and murder with the number of people killed by texting teenagers (and adults! ), drunks, bee-stings, other traffic accidents, drowning and the other risks in life. You’ll realize that teenagers are vastly more dangerous, statistically, than hitchhiking murderers. Even at NZD 1.75/liter it’s USD 5/gallon which is more than twice what it is here in Colorado. It’s also worth noting that the modern cars in NZ get much better fuel economy than the same models (if you can get them) in the USA. I suspect that they have less in the way of pollution controls, as even new cars are slightly more stinky than new cars in the USA. My reply went to Amanda rather than Judy. I will add to it that one can also be selective. I pick up people who are obvious backpackers, and have in fact gone out of my way to deliver them to their trailhead or campground. And people do it for me, too. I’d be less keen to pick up some random non-backpacking person, though. If only because they’re not likely to be as interesting. Yes I so agree never pick up hitch hikers it is so, so dangerous on many levels. Never plan to hitch hike anywhere here in NZ either as it is so unsafe. “DON’T stop on the side of the road to take photos, no matter how pretty the view is” – I guess this one is the toughest to follow! Your tips are valuable and I am sure to follow them if I choose to do a road trip in NZ. It’s incredible beautiful – a road trip would be a perfect way to explore it. It’s tough, yes, but it really is important for both your own safety, and the safety of other people on the road! I often use Go Rentals when I go home to Chch, I know they have offices in Auckland and I think also Queenstown. I use them because they were usually cheaper than the main companies as their offices are not located at the airport. If you arrive into Chch airport, they will come and pick you up in a free shuttle bus and take you to their office – like a 5 minute drive away. I often pull over to the side of the road, but I always make sure there is at least a car door & half length between my open car door and the road. 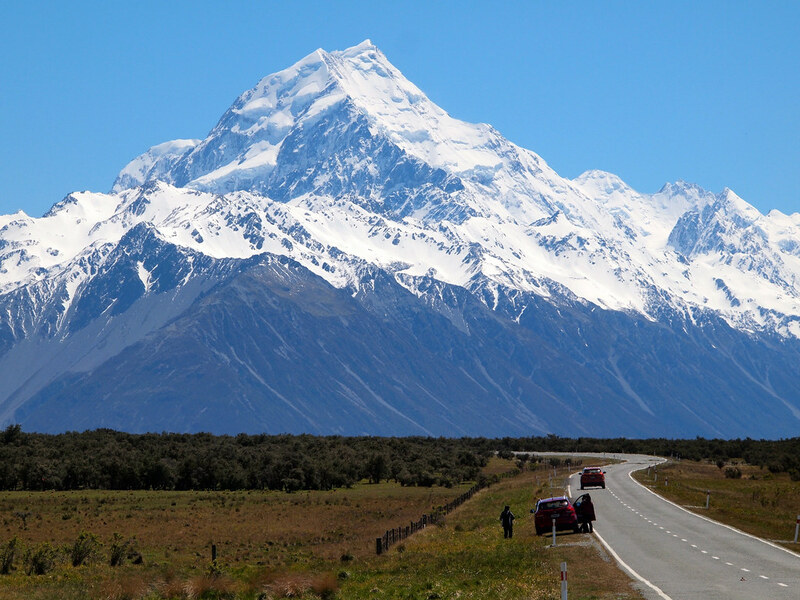 That road to Aoraki/Mount Cook, there is NO excuse to stop like that! There are plenty of safe places to stop along that road. If it isn’t save, then don’t stop – no matter how much you want that photo! It isn’t worth your life! One other tip I would recommend – petrol is usually dearer in rural areas, so if you can then top up in more populous towns/cities. Good tip on Go Rentals! I haven’t heard of them, but will definitely tuck that away for next time. And good tip on gas, too! I would add that you shouldn’t trust the Google Maps time estimates on how long it will take to get from A to B. They are based on the calculation that you’ll be travelling at about the speed limit most of the time, which IIRC is usually 100 km/h but you really can’t do that around the turns and up and over the mountains. Plan for extra time! Oh yes that’s a great tip! So true. You can’t drive the speed limit on many roads. And other times you’ll want to stop a couple times for photos! Great tips! Will surely come in handy if I plan a road trip to NZ someday – the landscape views are awesome! The landscape in New Zealand is incredible – definitely a great country for a road trip! Do NOT drive onto a beach unless you are 150% sure your vehicle can handle it, ha. That was very nearly one costly mistake for us! Ohhh yes good tip! I know a lot of people want to drive on 90 Mile Beach up in Northland, but you really shouldn’t do it unless you have a 4-wheel drive vehicle. Just in case! These are some great tips! I’ve always wanted to travel to New Zealand, and going on a road trip seems like a great opportunity to get off the beaten track and experience some truly amazing areas. Your tips about gas prices ($8 per gallon? Yikes!) and rental car options will definitely come in handy for future travels! Thanks, Jessica! Hopefully you can put these tips to use someday! You’re killing me- I feel like the most important DO of all is to just get myself to NZ as soon as I can. Ridiculously beautiful. Can’t wait to implement all these tips myself. We did the campervan in New Zealand for 2 weeks and having the freedom was the best, and you are right about the freedom camping! We ended up paying a lot in the end for camping, expected much more free camping! I think the freedom camping *used* to be much more lax. But unfortunately too many people have abused it and have not followed the rules, so it’s not quite as free as many people assume nowadays. Still way cheaper than hotels though! I love these tips. I’m not planning to go to NZ at the moment, but when I do go, I’ll be keeping this handy. Having said that, these tips are good for any rural destination eg about animals. We went to Wales a few years ago and the countryside lanes are extremely narrow so you have to drive really slowly as only one car can come throught at a time. You basically have to back up into a farm. And most accidents are caused by sheep roaming around and horses LOL! Yes, these tips can definitely apply to more than just New Zealand! Glad you found them helpful! What a great post Amanda, your photos are stunning too! People should also understand the rules for one lane bridges — common on South Island roads. If the sign on your end of the bridge shows a red arrow pointing the way you are travelling, you should give way to oncoming traffic. If the sign shows a white arrow pointing your way, you have right of way. Bonus tip: take note of arrows on the road showing direction of travel; they’ll help you stay on the left. They are often visible on the road surface after one way bridges, where people more familiar with driving on the right can be tempted to return to old / home habits and veer right. ‘But wait there’s more’ tip: the speed limit is 100kph but anyone caught doing over 140kph by NZ will lose their licence … Not good if, for instance, you are a couple of days into a two / three week self-drive holiday. No need to rush; there’s plenty to see. Very good tips, especially about the one-way bridges! Those can definitely be confusing if you’ve never run into them before! Thanks for the post. Or is so helpful. If one of my friend who has driving experience but have not been on the road for the past 12 years. Do you think we should not be renting a car at all. Previously we are intending to drive from Christchurch -Kaikoura then on to mt cook / Lake Tekapo. 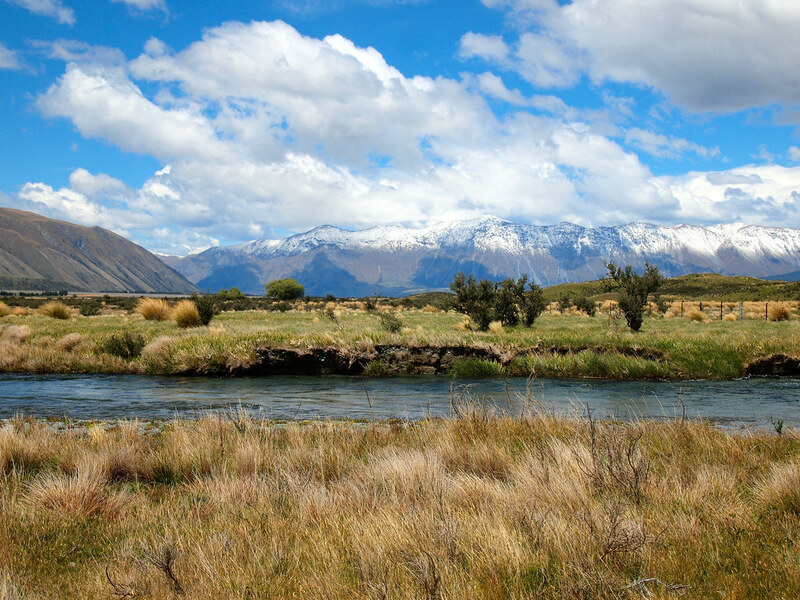 Then to Glenorchy and wanaka before returning car at queenstown. TO be honest, if you haven’t driven in a long time, I would advise you to carefully consider renting a car. There are no huge highways in New Zealand – most of the roads are just 2 lanes, and many are quite narrow. The route from Christchurch to Kaikoura is definitely winding, as are the roads around Wanaka and to get to Queenstown/Glenorchy (the South Island has mountains, which means you have to cross some mountain passes). You could definitely do that trip by bus, too, though. Buses in NZ go to all the major cities. Thank you for writing so much information to share with us Amanda. I appreciate the effort you’ve gone to here in doing this! What I also feel is important is going to a trusted car mechanic before you embark on your road trip.. This just ensures your auto will have limited hiccups en route! Thanks again for sharing this, we’re heading to the land of Oz at the end of this month.. It’s not quite New Zealand but still a lovely place! Thanks again Amanda, keep writing great things. Wow. So much good info. We leave in a few days for New Zealand and I wish I had found your site earlier! Time to get planning and take notes!